The new LSR 3-Series studio monitors have some pretty impressive technology built right in. Born from JBL's flagship M2 studio monitors, the LSR305 features the new Image Control Waveguide. This new technology give precise control over the horizontal and vertical dispersion emanating from the HF transducer, which provides a much wider sound stage and less coloration when listening off-axis. Now, instead of there just being one sweet spot directly in-between the two monitors, the sweet spot is now wider and more natural sounding. A greater sense of space and stereo imaging is achieved at the most affordable price in history. 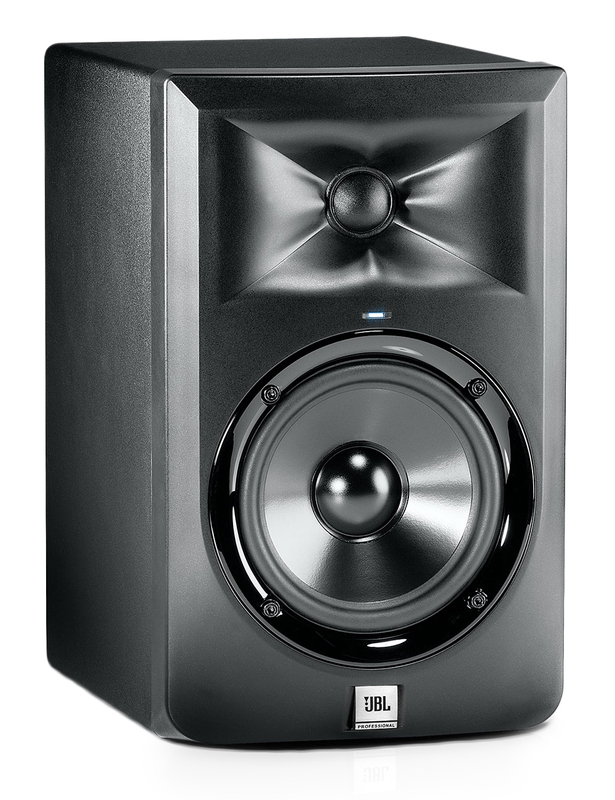 No other studio monitor in the LSR305's price range sounds sooooo sweet. The 3 Series now feature Class D amplification which provides ample power with tons of headroom, in a super-efficient power-sipping design. Class D amplifiers do not suffer for any cross-over distortion and have less noise than other designs as well, making it the perfect solution for studio monitors in this class. And you know what? Class D just makes these monitors a whole lot lighter and easier to handle than most. 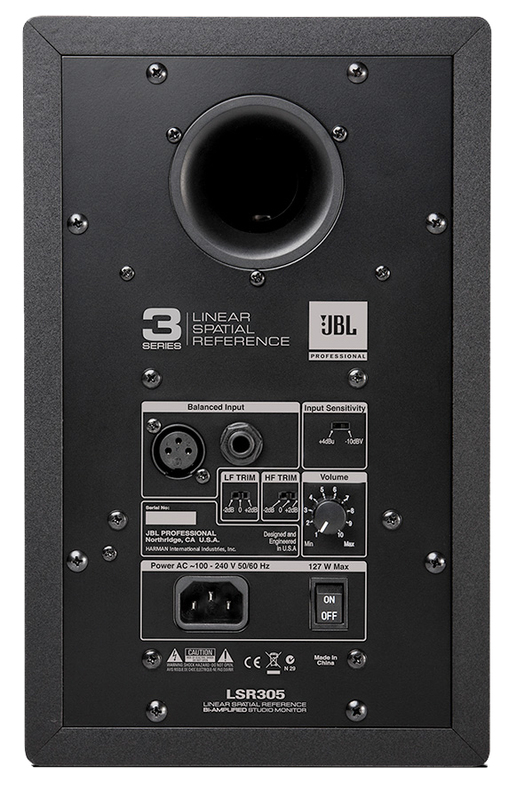 JBL's patented Slip Stream™ port design on the back of the monitor works with the LF driver to produce a deep warm bass response that is consistent at all playback levels. The port has a double-flared shape that gives the monitor greater extension in the low frequencies, giving the LSR305 a response all the way down to 43Hz - practically unheard of in a 5" design. The LSR305 has two types of input connectors to accommodate the outputs of the audio interface you're using. Both inputs are balanced with XLR and 1/4" options. On the back of the LSR305 are two Trim controls as well to help tailor the monitors to your listening environment. Both the LF and HF TRIM switches give you the option of +2dB, 0, and -2 dB. Both are shelving filters with the LF centered at 115Hz and the HF centered at 4.4kHz. There is also a input sensitivity switch that allows to switch from -10dB or +4dB input sources. This allows you to connect the LSR305 to consumer devices if you really wanted to.